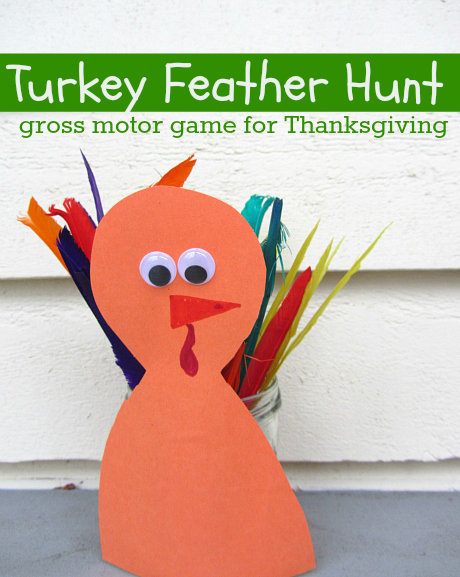 This easy Thanksgiving themed game has been lovingly named ” Naked Turkey” at our house . It is so fast to make but the fun will last for a long time. Kids love searching for things and games like this not only works on concentration it also naturally leads to counting, color recognition and sorting. Gather your materials. 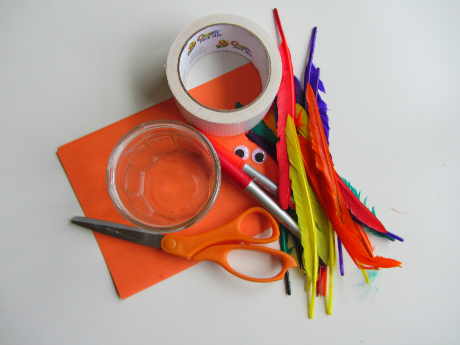 You will need a clean jar, some orange or brown construction paper, some some, googly eyes , tape, markers and feathers. 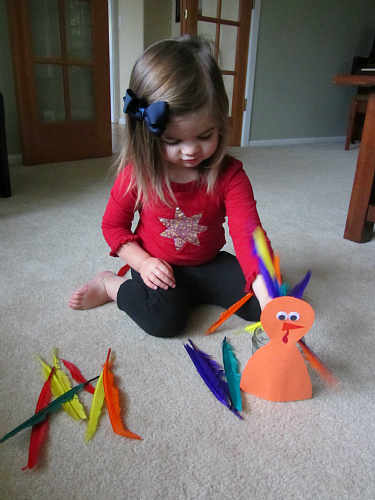 Start by cutting out a turkey torso. Think chubby bowling pin cut in half. 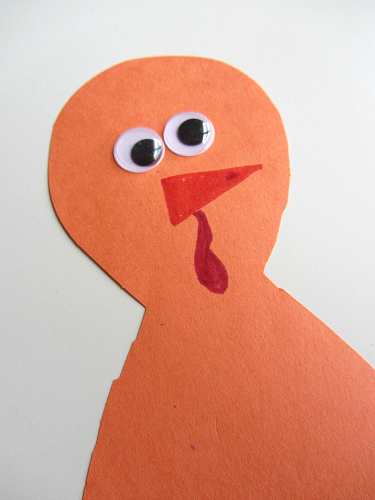 Add a gobble, beak and glue on some eyes. 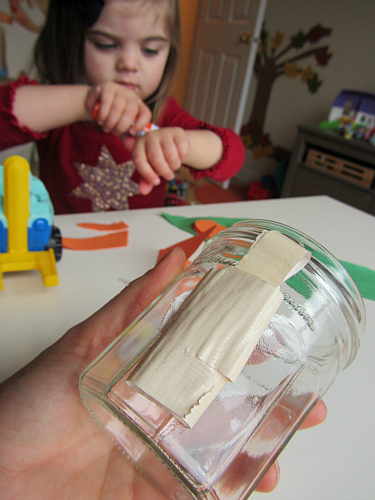 Tape to the jar. I am taping it because I love these jam jars and plan on using it for something else after we are done with this game. As you can see my daughter was collaging scrap paper while I made it, or so I thought. 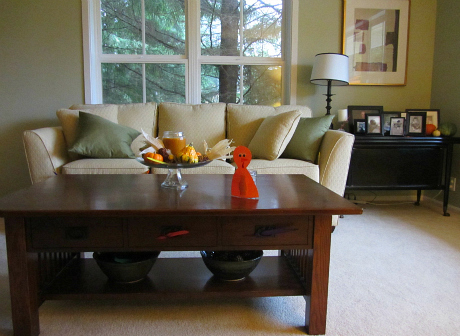 Choose a spot in your house to hide the feathers. I do it in my living room because I can shut the doors and keep the kids out while I hide them. Also in a relatively small space a toddler won’t get overwhelmed. do what works for your kids. Can you see any feathers in this picture? 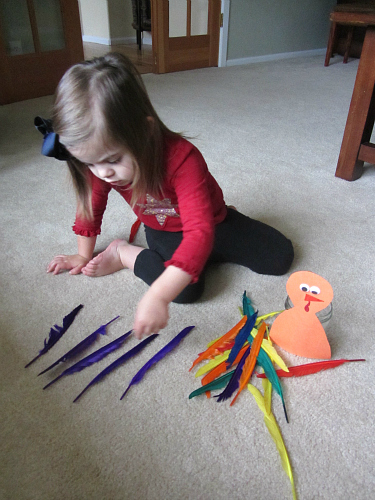 Invite your feather finders and play! She loved this and so did my son after he got home from school ( but the light was even worse by then so no pics). After she found them all we counted them and sorted them by color, purple first of course! Since making this on Friday we have played daily with no signs of getting tired of it. 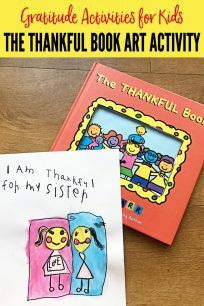 My son loves to be the hider and tried to stump my husband and I . I particularly love that the game isn’t too messy to play anytime no matter who is over for Thanksgiving dinner! 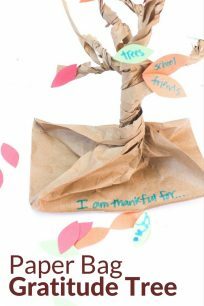 I love this and will definitely be doing this with my kids this week! what fun! We love hiding and searching for things around here so this will be a hit for sure. Also love the “Naked Turkey” name! Thank you for this great idea! 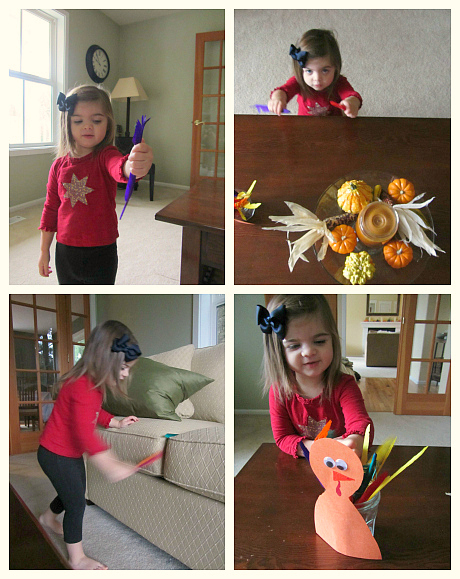 I tried it with the kiddos I watch today and they LOVED it. 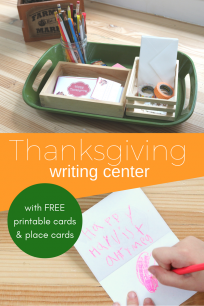 We will be bringing it to our Thanksgiving dinner party too. So fun! !